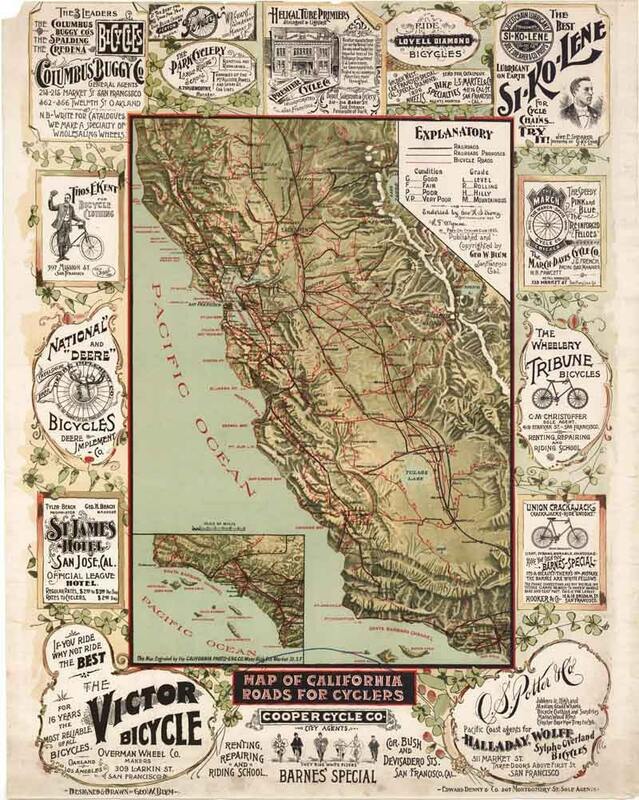 "Map of California Roads For Cyclers". 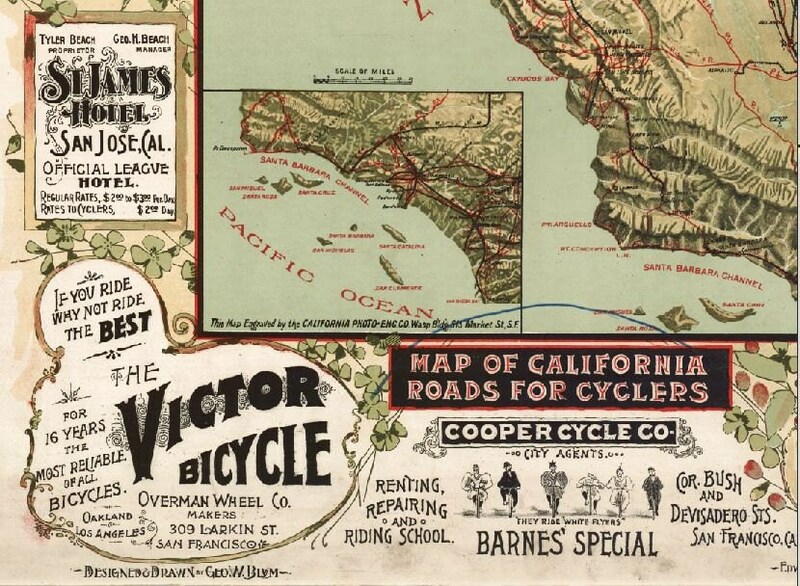 Simply an awesome map with old ads around the border. 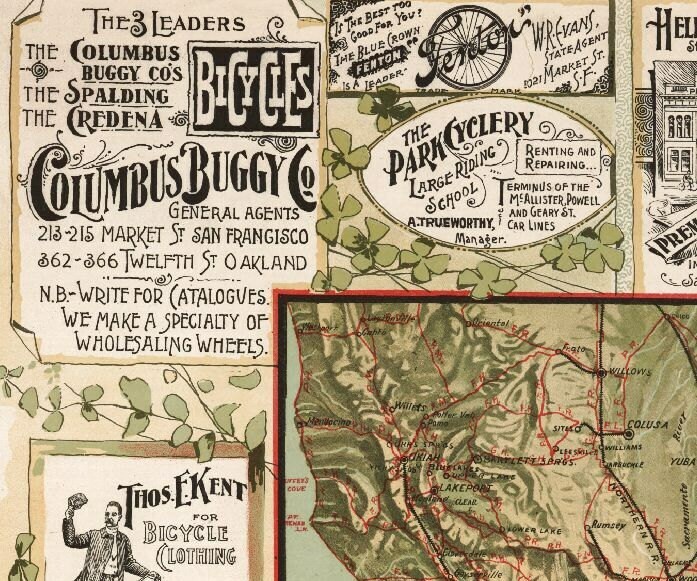 A must have for any bicycle enthusiast! Check out some of the detailed pictures. The map shown is 22" x 28" (original size), please choose your size and choice of border. 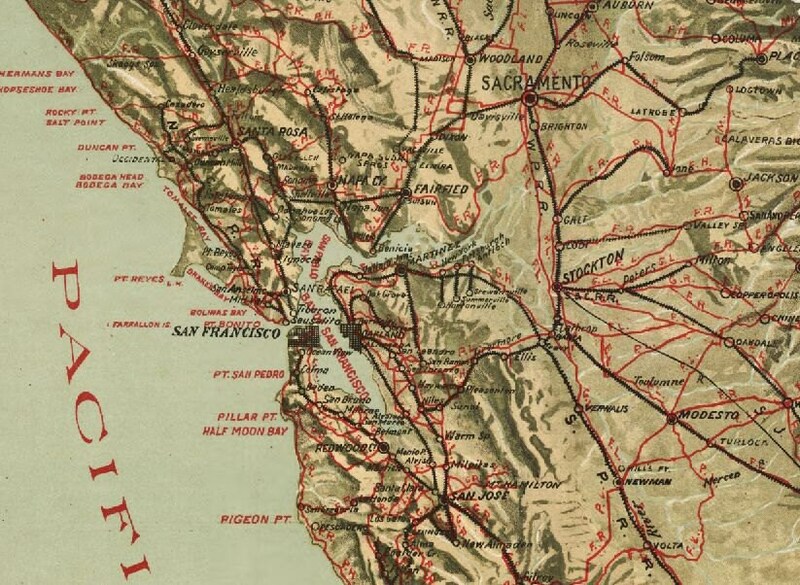 For different sizes, the map might be cropped slightly different to fit the particular dimensions. 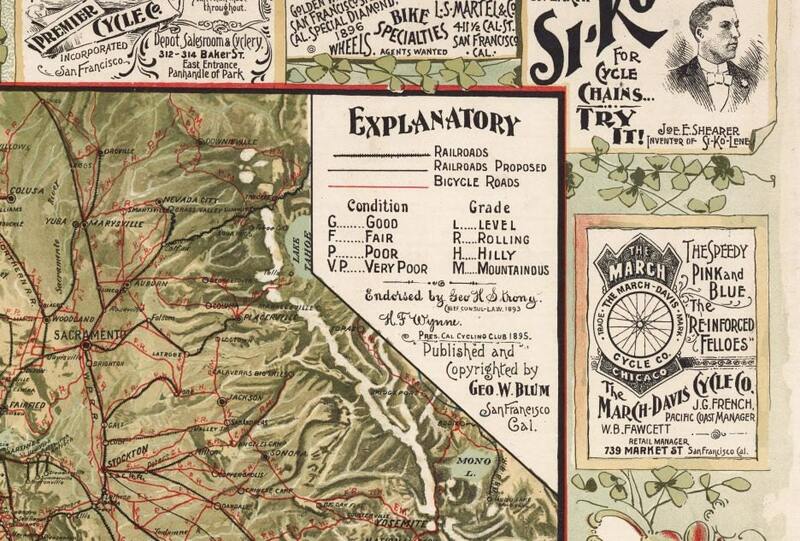 This is a reproduction map.